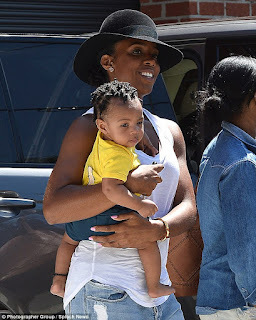 Kelly Rowland is still hard at work on her upcoming new album. 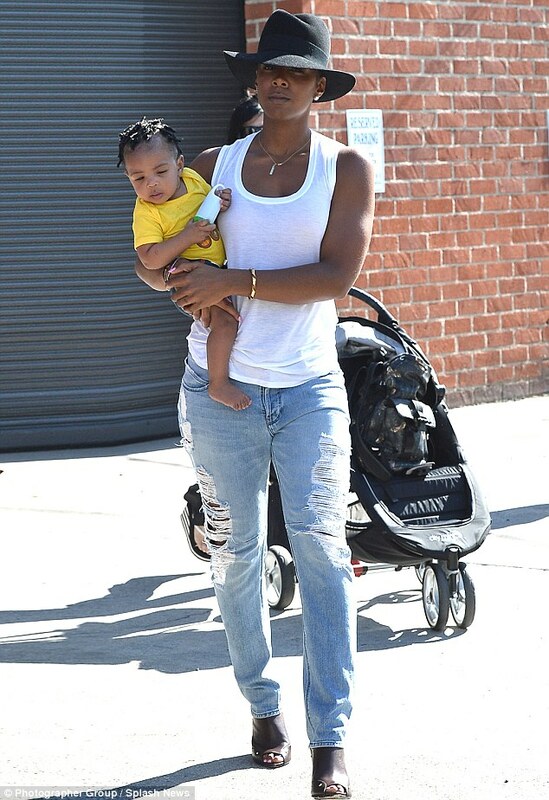 On June 19th, she was spotted leaving a recording studio in Los Angeles with her cutie pie son, Titan Jewell Witherspoon! Don't you just want to pinch his fat little cheeks? 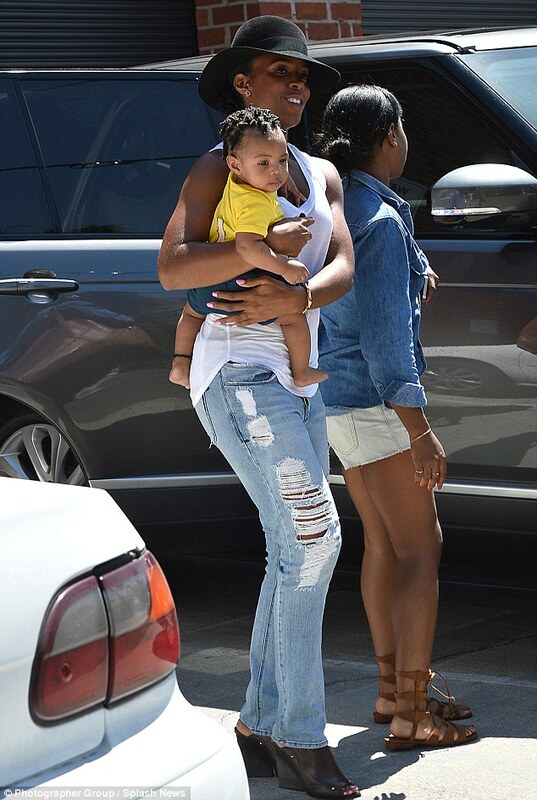 Kelly looks great, minus the hat but overall, her post-baby body is one to be envied. 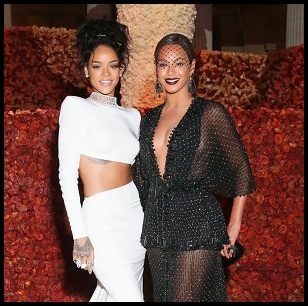 I scoff at reports stating she lost 70lb because there's no way in hell fitness freak Kelly put on 70lb during her pregnancy. If I recall, she never stopped working out!